Viva Italia! Italy at Its Finest! Ah, Italy! Just the name of this country probably brings images to your mind. Are you picturing the gorgeous countryside? The fabulous food and wine? Well I can tell you that it's both of those things, and so much more! Exactly a month ago I was traveling the Italian countryside, checking out all that Adventures by Disney has to offer. And let me tell you -- it offers A LOT! The amount of experiences I had in just 8 days still blows my mind. I've tried to write this post many times, but each time, so many words fought to fill the page that I thought it best to do it in podcast form, which I did! (You can click here for that link. ) But now that it's been a month, the wonderful memories have distilled into several key moments, and I can't wait to share them with you... read on! They were amazing! I couldn't have asked for better guides! This picture really showcases their fun personalities. On your Adventures by Disney tour, you may have different guides, but I can guarantee that they'll bring the fun! These two kept everything moving seamlessly. They functioned not just as tour guides, but as photographers, storytellers, comedians, and best of all - FRIENDS. The lovely Alexa hails from Rome, so she functioned as our local guide. Korey is from the US, and he was our other guide, bringing his amazing knowledge of history and the culture to us. I can't thank them enough for making this trip so incredible. So as the song says, "let's start at the very beginning..."
Well in many ways, Rome is kind of the beginning - "All roads lead to Rome" after all! Upon arrival, I was met by Adventures by Disney representatives and ushered through the airport. The process (which could have been overwhelming) couldn't have been easier! We were handed over to our private driver, and then we were met at our hotel by our guides. Here is our hotel, the lovely Grand Melia Rome! And yes, I am wearing gladiator sandals. Because, you know... when in Rome! This experience really hit me - the weight of all of the history, the fact that it is literally an ancient building STILL STANDING - it was so inspiring. And well - we didn't wait in one single line. Not one. Oh and did I mention walking through the Gladiators Entrance? That is something that only about 1% of visitors get to do. Day 2 began at the Vatican. The richness of this city-within-a-city was truly a sight to behold. And of course, again, no lines! We were among the first to visit St. Peter's Basilica and the Pieta. The afternoon had us touring more of this amazing city. Just imagine... a place where the "new section" was built in the 1800s! Seeing 2000 years worth of history in 2 blocks... I can't even describe it. 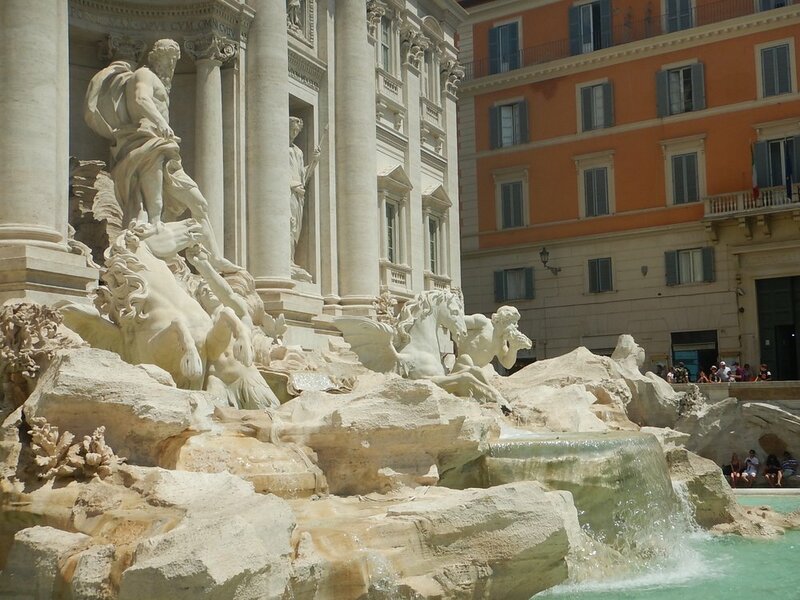 The Spanish Steps, the Pantheon, the Trevi Fountain, the gelato... oh the gelato! So delicious! Day 4 is maybe my favorite. Hard to pick, but I remember every second of this day. Visiting "Sarah's Farm"... real name Fattoria Poggio Alloro. This family-owned farm has gone from just starting to a leading producer of Wines and Olive Oils. Disney fans, it may interest you to know that Sarah herself will be at Food and Wine Festival in Epcot this year! And it really looks like that! What an incredible view! Also, shout out to our hotel here, which was a converted farmhouse. 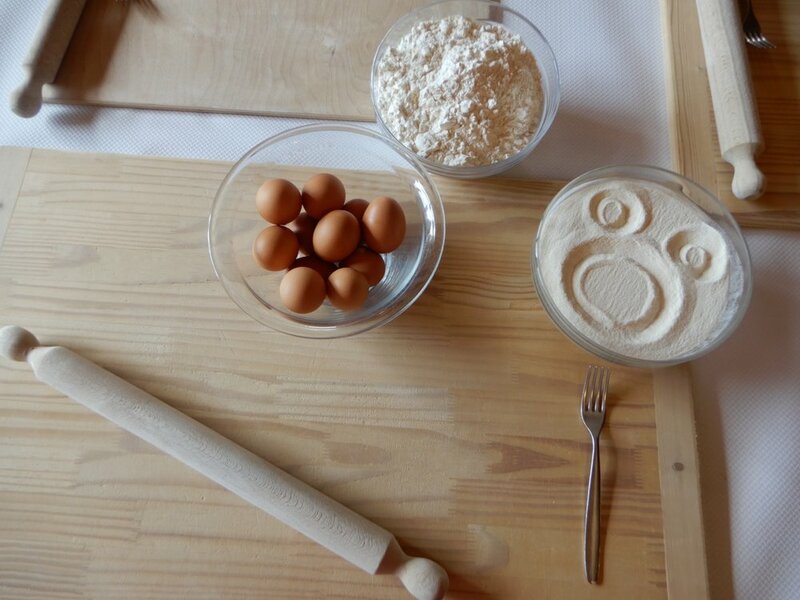 The Hotel Borgo di Cortefreda was amazing! 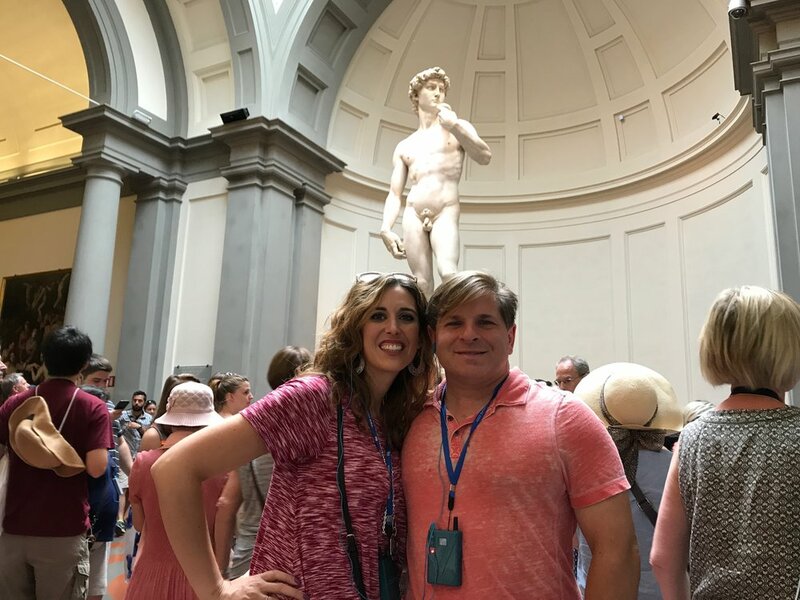 Day 5 takes us to Florence, home of the Medicis, and a place where almost every major Renaissance artist stayed! I loved seeing all of the gorgeous buildings and of course, shopping! 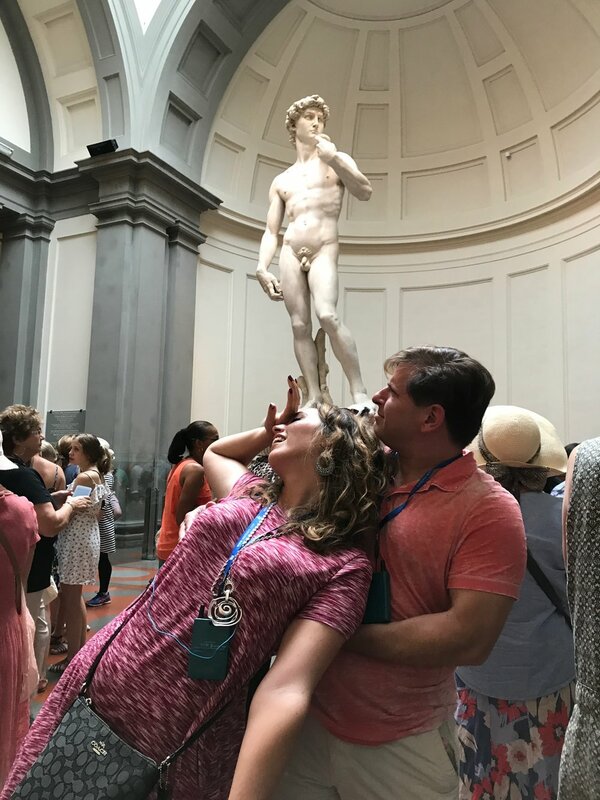 Two highlights though were seeing Michaelangelo's David at the Academia and touring the Palazzo Vecchio. Day 6 & 7 brought us to Venice. 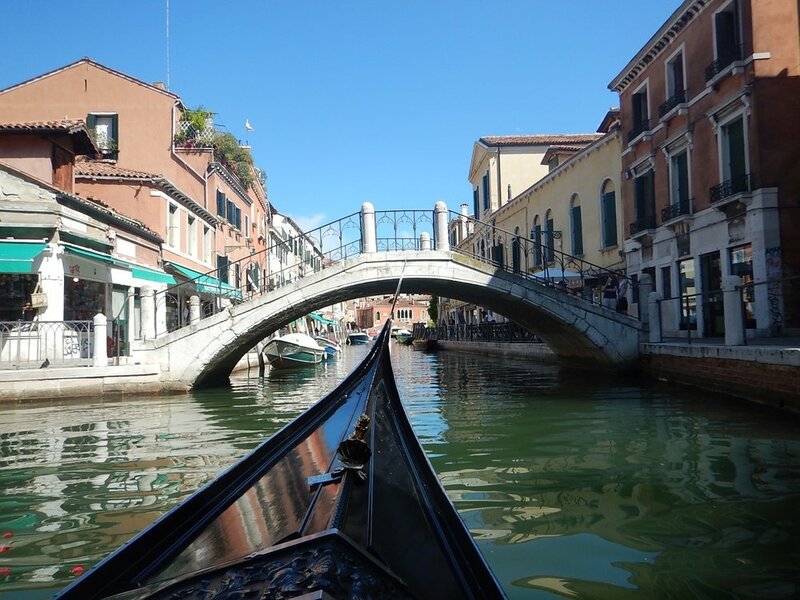 Of course, it's a water bound city, so what better way to travel than by gondola? Did I mention a gondola with musicians? After a quick tour to get our bearings, we were taken to the Hilton Molino Stucky, which is a gorgeous hotel with one of the top rooftop pools in the world! While in Venice, we had plenty of free time to explore, but we also got to see the Bridge of Sighs and Doges Palace which were both incredible. 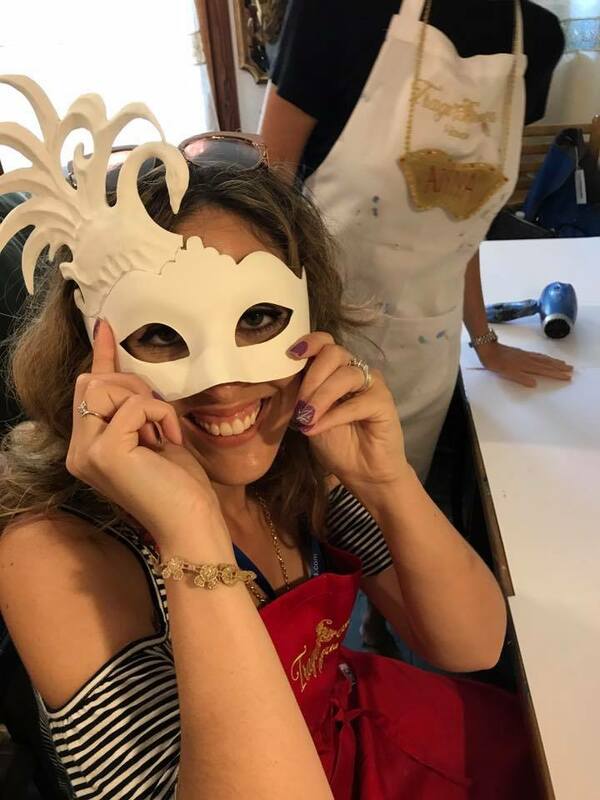 But the highlight here was Venetian mask-making at a beautiful shop called "Tragicomica". The artisans were amazing! They guided us as we designed our very own Carnivale mask! So as you can see, we were with a group. And you know what? The entire group still chats... almost daily... in our Facebook Group. I was nervous about traveling with "strangers", but let me tell you, they are now fast friends. I truly enjoyed spending time with them. And not to worry, although these were the highlights, there was plenty of "explore on your own" time. Brady and I have fond memories of exploring roaming Italy by ourselves. We could not have accomplished the amount of things we did without the help of Adventures by Disney... and we certainly wouldn't have felt so spoiled! Of course, I wanted to leave some magical surprises, so I didn't tell you everything. 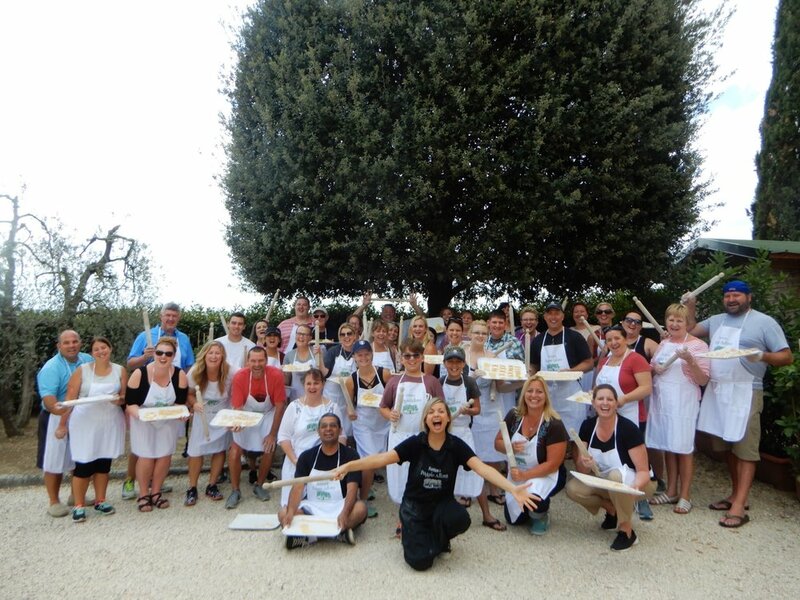 I hope that this taste of "Viva Italia" and Adventures by Disney has inspired you! There are so many itineraries to choose from! I'd love to answer your questions about Adventures by Disney, and your Upon A Star Agent can help you find the perfect match for your family!